This is a genuine new Arduino Uno R3 manufactured by Arduino.cc. 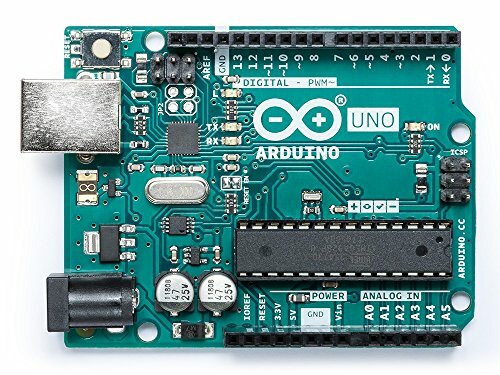 The Arduino Uno is a microcontroller board based on the Atmel ATmega328. It has 14 digital input/output pins (of which 6 can be used as PWM outputs), 6 analog inputs, a 16 MHz crystal oscillator, a USB connection, a power jack, an ICSP header, and a reset button. It contains everything needed to support the microcontroller; simply connect it to a computer with a USB cable or power it with an AC-to-DC adapter or battery to get started. If you have any questions about this product by Karlsson Robotics, contact us by completing and submitting the form below. If you are looking for a specif part number, please include it with your message.